add filtered water-approx 3TBS- enough to form workable dough. blend with raised blade of magic bullet or blender into thick liquid. Fill the flower centers with jam and dehydrate at 105 degrees for about six hours-or as long as you can wait-they are good after an hour or two, too! My daughter and I began our journey into Raw Veganism two years ago and we haven’t looked back! There is something primal and sensorial-y satisfying about raw food that makes us happy. Preparing raw food requires less utensils and more hands and fingers—and intuition. That is why I don’t bother about measuring cups and spoons. I prefer to go by taste and feel. 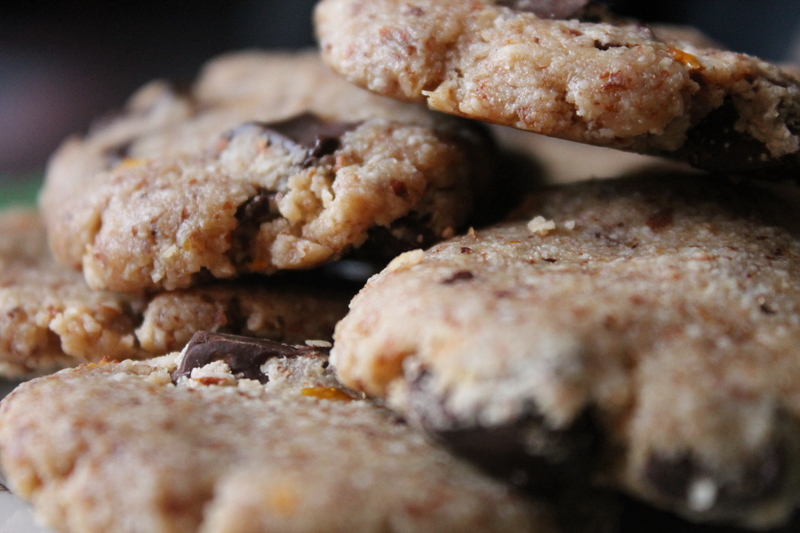 Here is a very delicious and entirely nutritious raw cookie recipe. My daughter loves them for breakfast. Chunks of Raw Chocolate (I prefer Giddy YoYo Orange, Maca, or Salted Vanilla bars) broken into chunks. 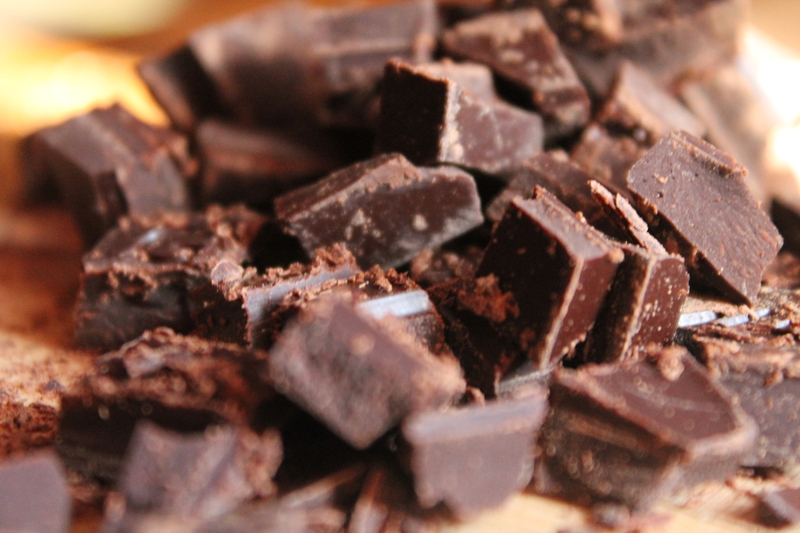 You can also use cacao nibs for more of a chocolate chip cookie feel. Form into balls and place on a dehydrator sheet. Dehydrate at 105 degrees until cookies are crispy on the outside, chewy on the inside, and the chocolate is warm and melted. A few hours is all they’ll need—if they last that long. Most of the time my daughter just eats the dough!